Filled with practical, step-by-step instructions and clear explanations for the most important and useful tasks. 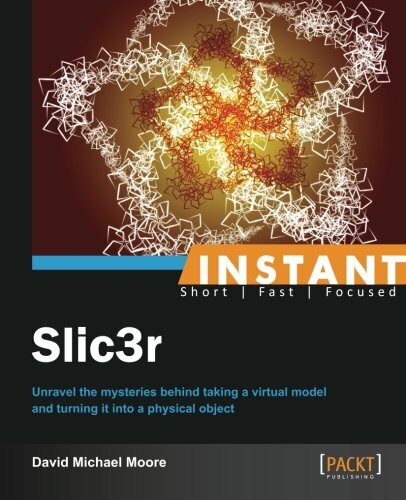 Instant Slic3r follows a practical, recipe-based approach that will show you how to complete the various steps to turn 3D models into actual objects with a 3D printer. Instant Slic3r is for people new to 3D printing and its software, and also for people who are new to Slic3r. You will need to know the basics of 3D printing, and how to use your printer and the other software associated with it.